This is a two part set. Part one is a quick connect which you can splice into your Hiker filter hoses for faster setup. No more hassle with barbed fittings. Quick connect fits hoses with .25" internal diameter. 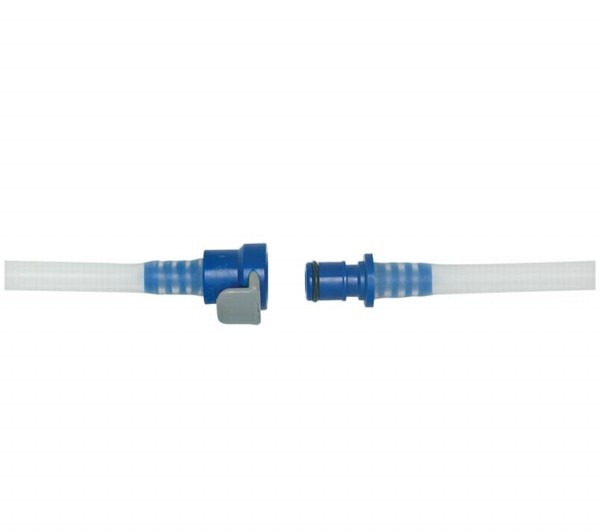 The second part of the set is a fitting which, when attached to the end of your filter's outlet hose, will connect directly to the quick connects on Nalgene and other hydration bladders.